The winter darkness may be drawing in but, fear not, as The Frog Hoxton’s new brunch menu has arrived just in time to brighten up your Saturdays. 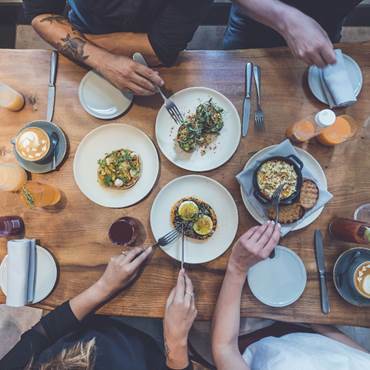 Chef Adam Handling and his team have turned their critically-acclaimed talents to the nation’s beloved mealtime and from 10am – 3pm every Saturday, guests at The Frog Hoxton can now enjoy their deliciously innovative take on brunch. With a bold and refined choice of just four dishes, The Frog Hoxton’s menu offers an inventive alternative to your typical brunch offerings. Mouth-watering dishes include Potato Bread with Fried Egg and smoky Chorizo Jam, or an entirely vegan option of Cashew Cheese, Mushrooms and TMT – a delicious dressing made using fermented turmeric, miso and tahini. Not one to disappoint, The Frog Hoxton even has their own, decidedly more exciting version of Avocado on Toast, which has been taken up a notch and topped with dukkah and harissa. Accompanying the new brunch menu is a selection of refreshing non-alcoholic and alcoholic drinks. There are juices from Black & White – Adam’s sustainable juice brand made entirely using misshapen fruit that would otherwise be wasted, as well as a choice of cocktails courtesy of Iron Stag – Adam’s stand-alone bar that sits beneath The Frog Hoxton restaurant.